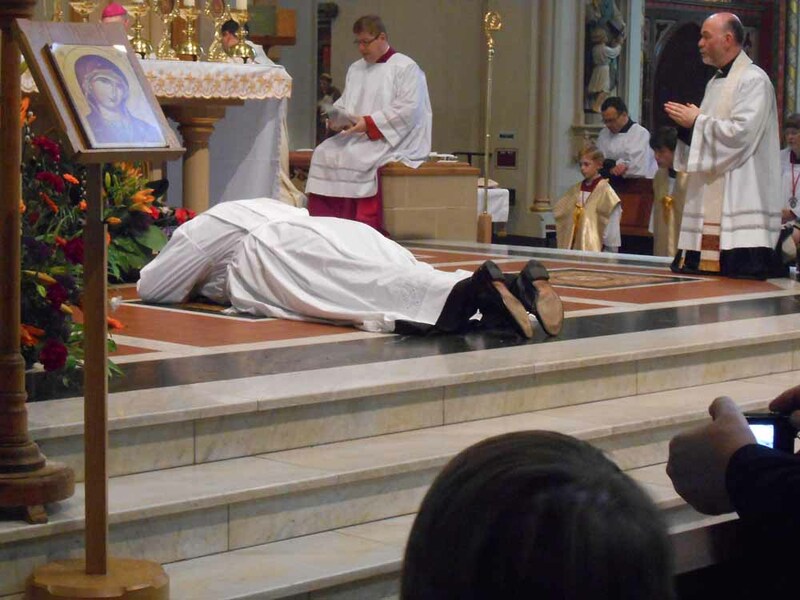 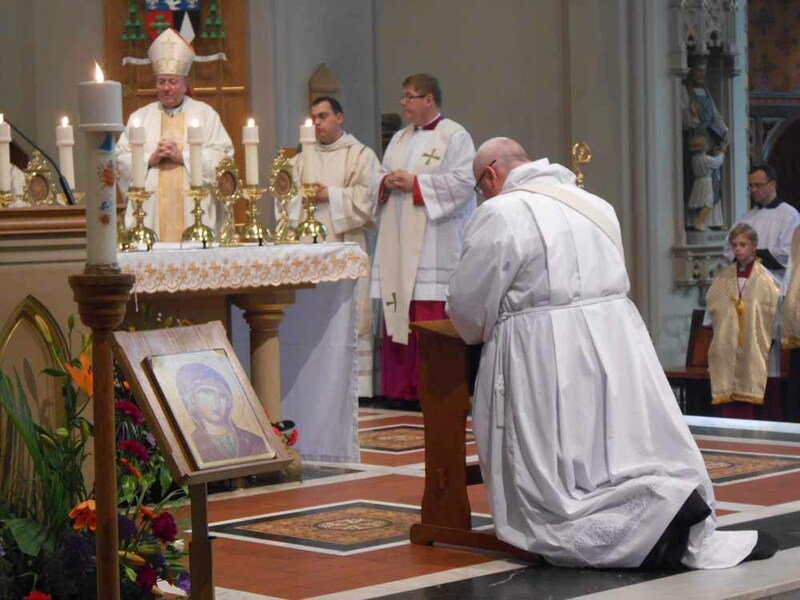 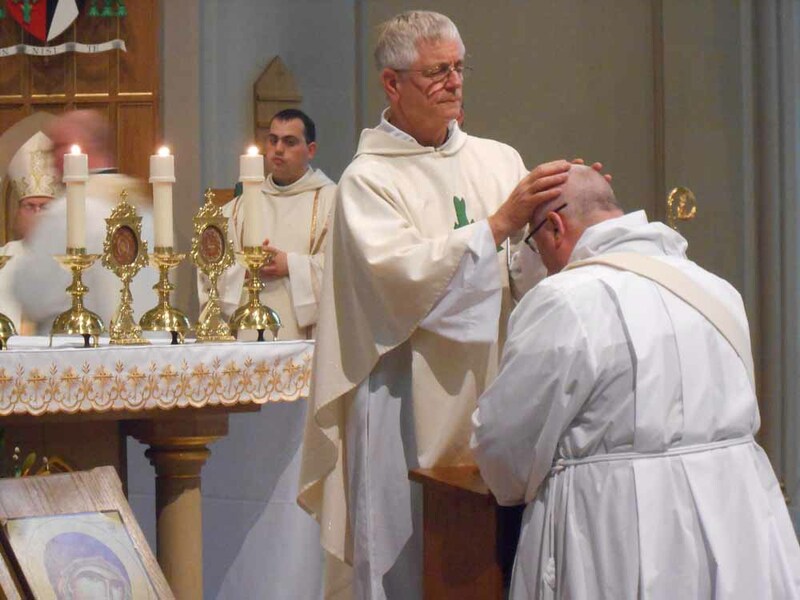 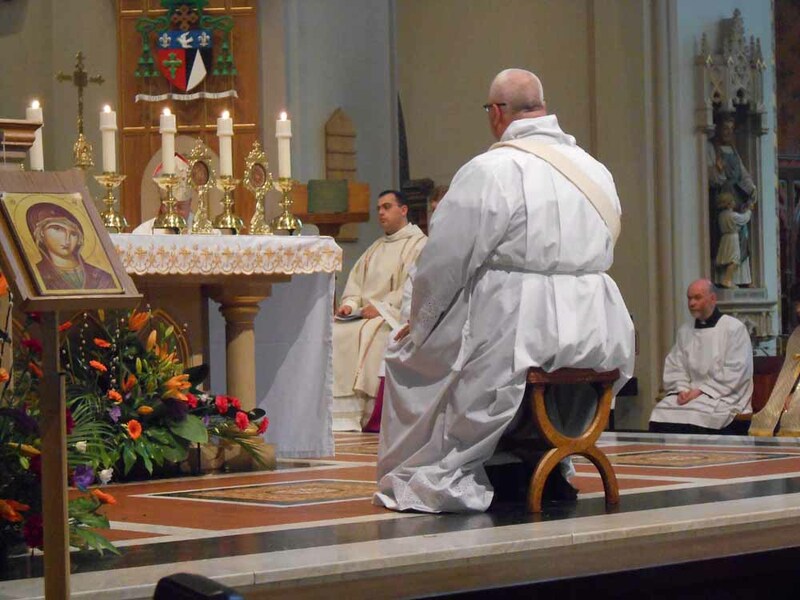 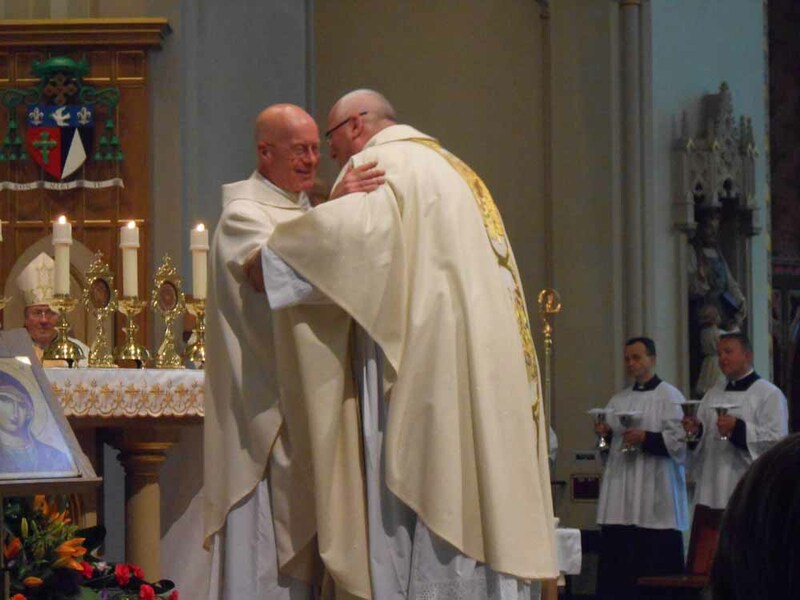 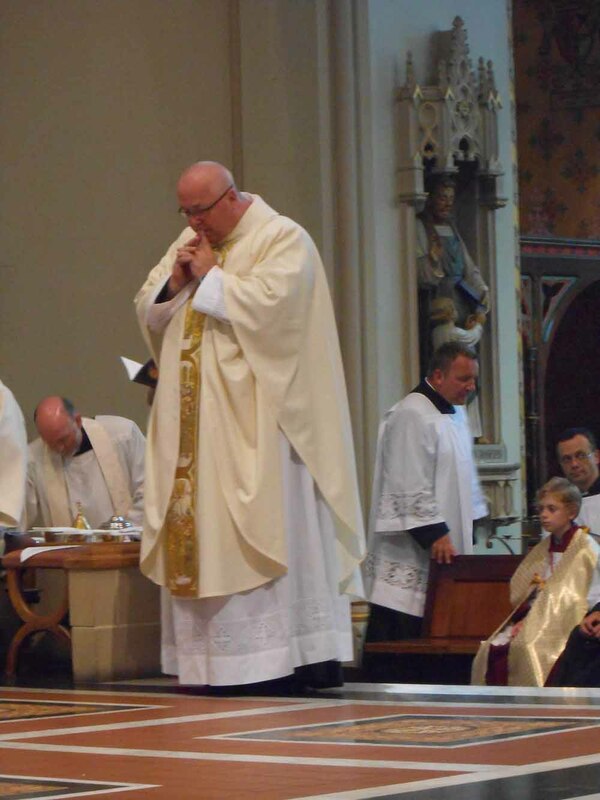 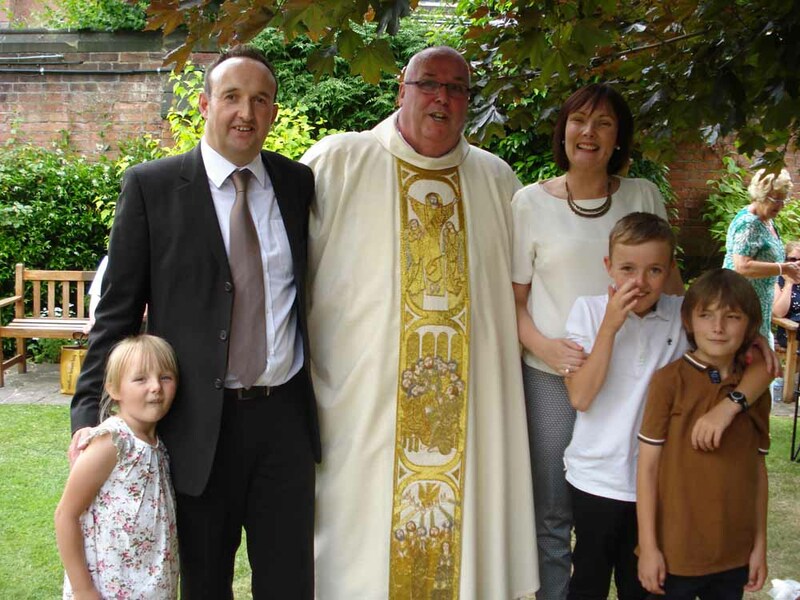 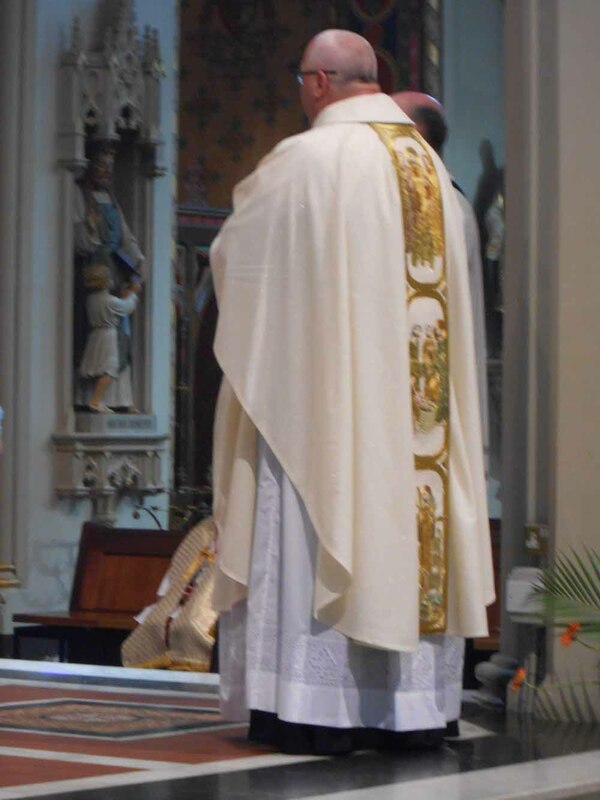 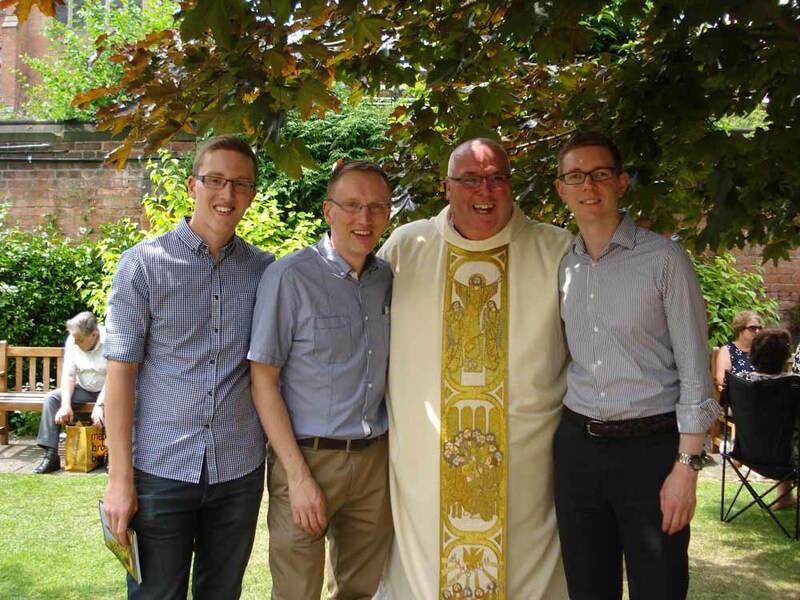 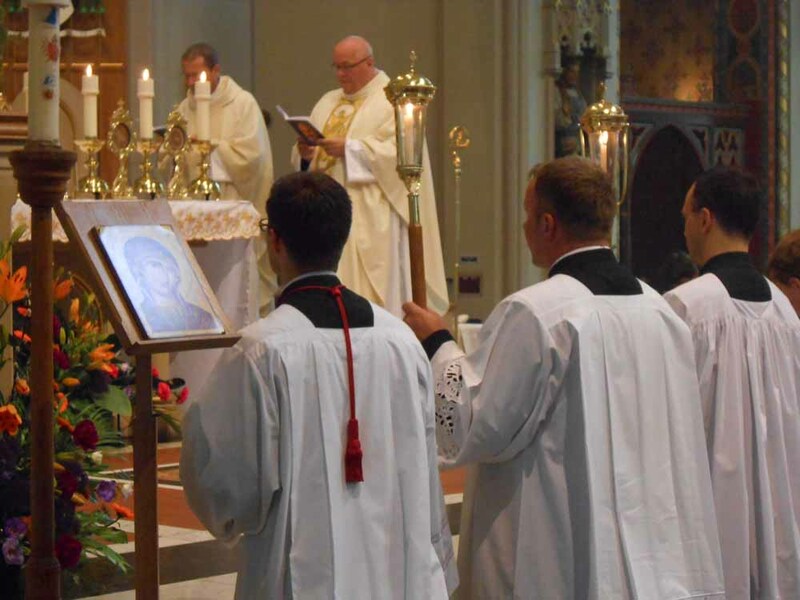 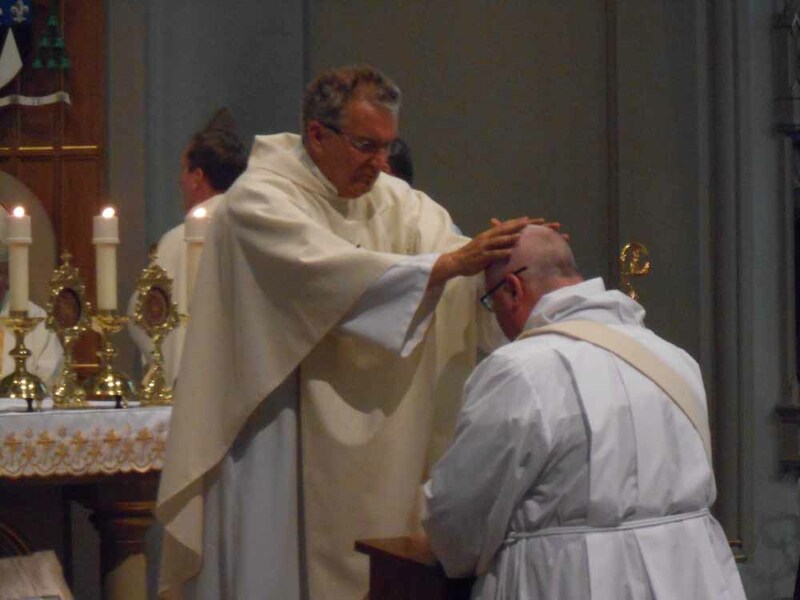 Saturday 13th July at St. Barnabas Cathedral Nottingham saw the ordination of Deacon John Martin to the Priesthood. 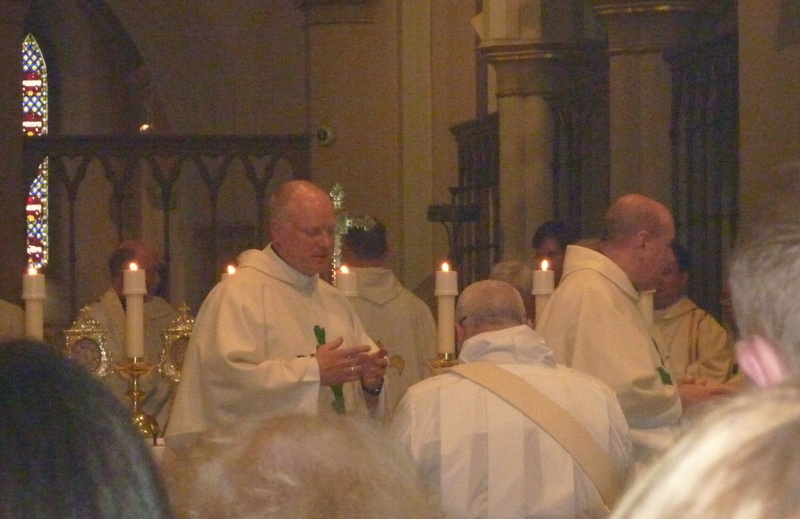 The cathedral was packed full of parishioners from St. Alban’s Derby, and his childhood parish of St. Paul’s Lenton. 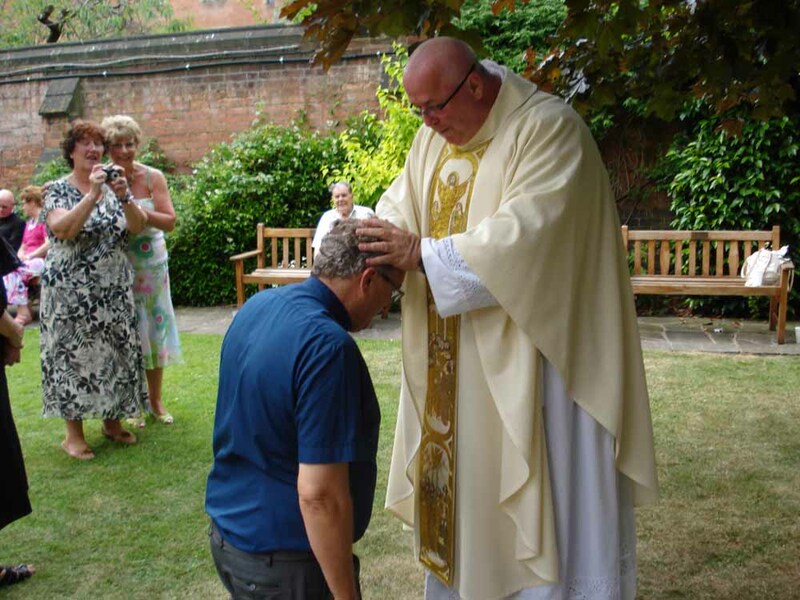 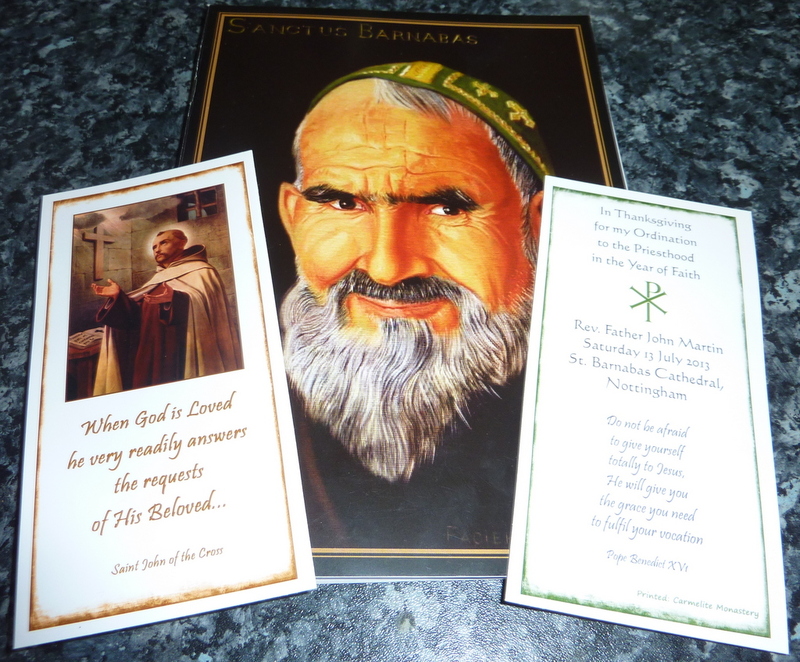 These complimented the large number of John’s friends and family from his life in the Hospitaller Order of Saint John of God and Oscott College. 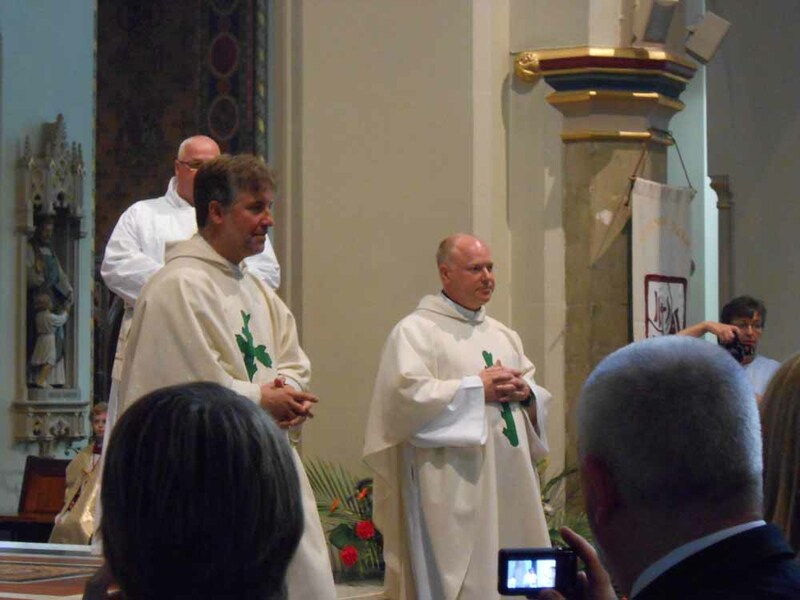 Take a look at the pictures on this page and also the article prepared by Fran. 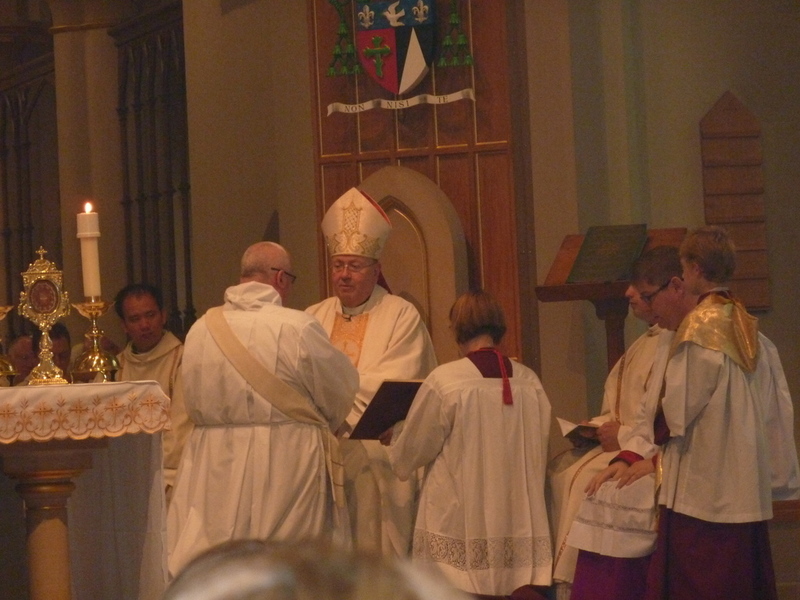 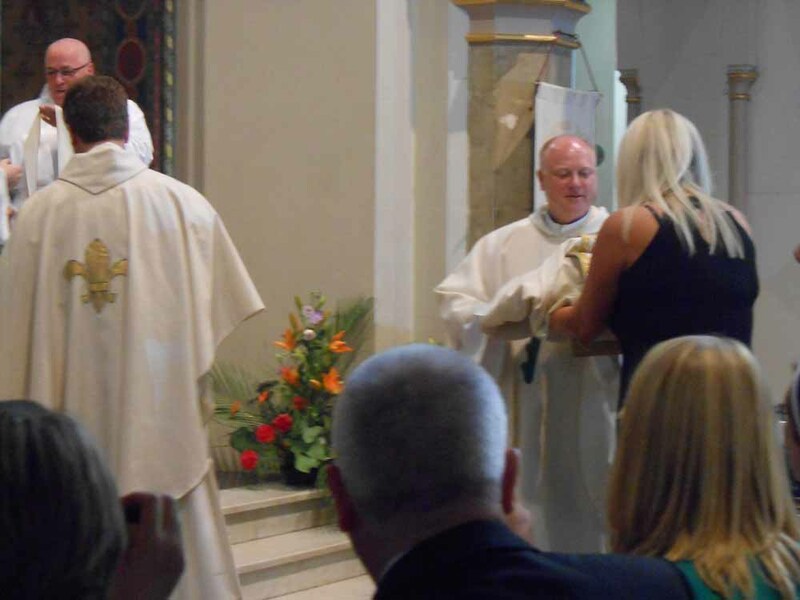 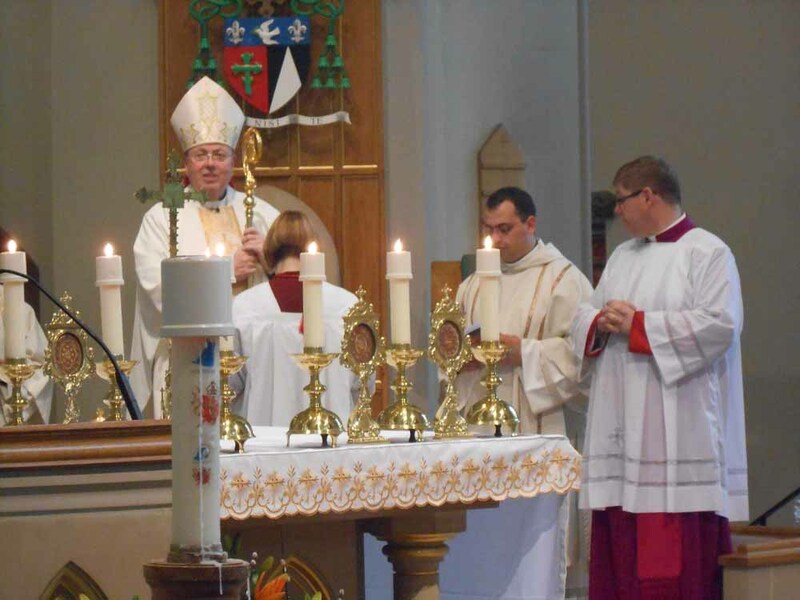 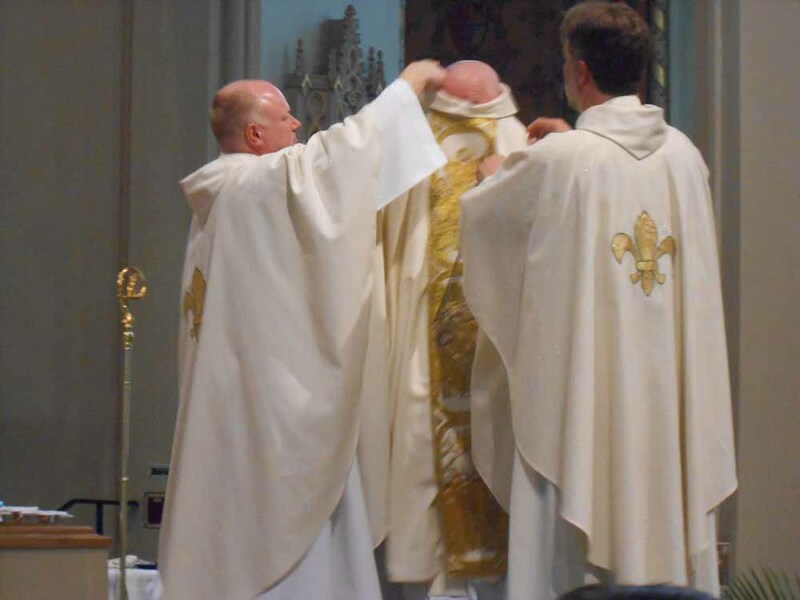 Investiture with the stole and chasuble. 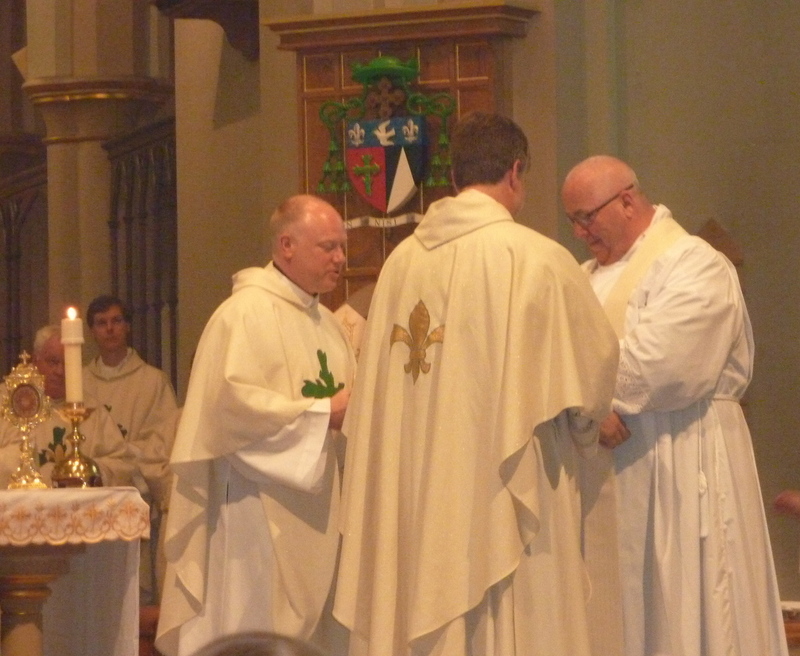 Fr D.avid and Fr Paul recieve them. 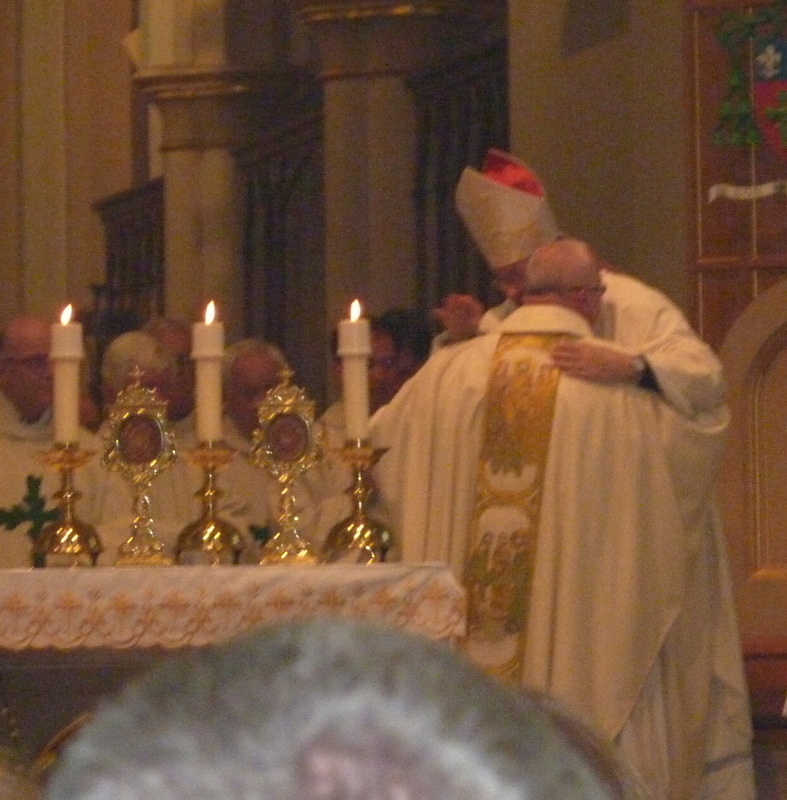 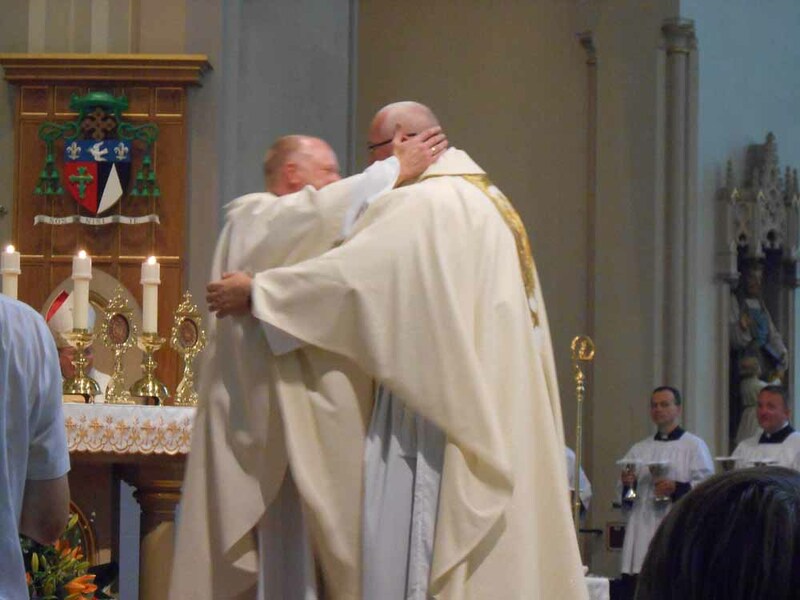 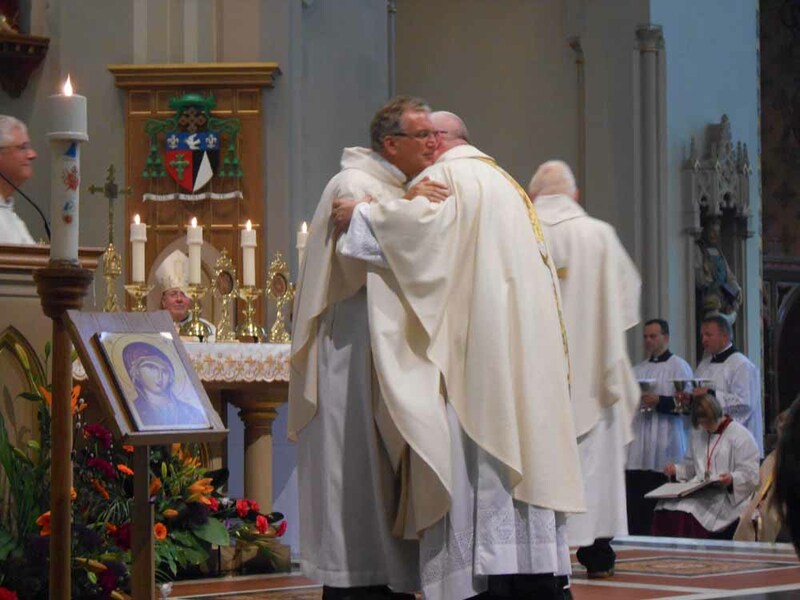 The bishop greets Fr John with the Kiss of Peace.